Voted one of Conde Nast traveler´s Top 100 Hotels in the world, El Dorado Casitas Royale, a Spa Resort, by Karisma is a recent winner of the prestigious AAA Four Diamond Award and rank by trip advisor in the top 10 best hotels in Riviera Maya. 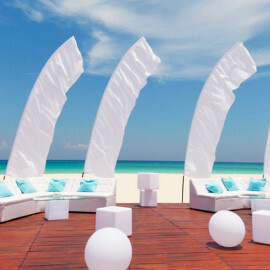 Mexico´s premier adults-only, beachfront resort, where couples, wedding parties and honeymooners savor a Gourmet Inclusive experience, a vacation that fosters togetherness. 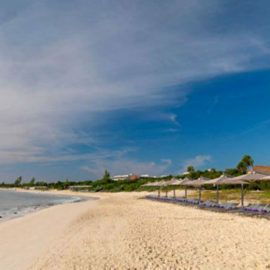 Luxuriously romantic, stretching along a secluded beach, the resort provides indulgences from gourmet cuisine, to swim-up suites, to a lavish spa and concierge service. 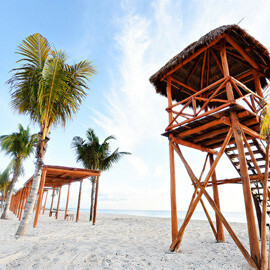 Located in the heart of the Riviera Maya, facing the beautiful Mexican Caribbean. 25 minutes south of Cancun International Airport, 15 minutes north of Playa del Carmen, just 10 minutes away from “Mayakoba championship” golf course, 25 minutes away from the “Playacar Golf Club” and numerous wonderful sinkhole, 5 minutes south from Puerto Morelos and 35 minutes south of downtown Cancun. 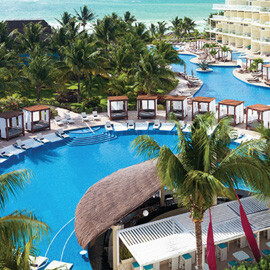 El Dorado Casitas Royale, by Karisma is located in the heart of the Riviera Maya, Mexico facing the beautiful Mexican Caribbean. 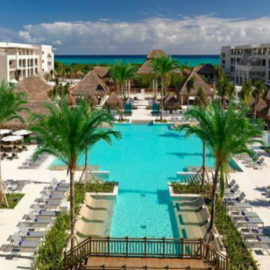 Situated on 450 acres of tropical jungle, El Dorado Casitas Royale is nestled among hundreds of palm trees on one mile of unspoiled Punta Brava Beach. 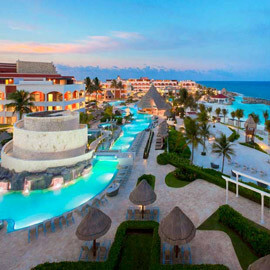 El Dorado Casitas Royale, A Spa Resort features 205 luxuriously decorated Suites in 9 categories. All with king size bed, maximum capacity for 2 guests. Casita Suites special treats include: DVD / CD library, exclusive concierge service 8.00am-5:00 pm, turn down service, pillow menu and aromatherapy in your room..
Our Casitas are located exclusively Ocean Front on the second level, romantically designed, and featuring our exclusive “Aguas del Amor” roofless outdoor shower, high ceilings, and palapa roof. 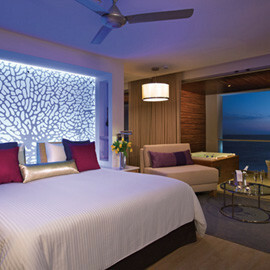 Included is a contemporary bathroom with double sinks and glass enclosed showers and an indoor luxury Jacuzzi, king size bed, personal night stand, premium minibar, and a secluded balcony with an exterior double bed, table and two chairs with breathtaking views of our white sand beaches and the largest artificial coral reef in the world. 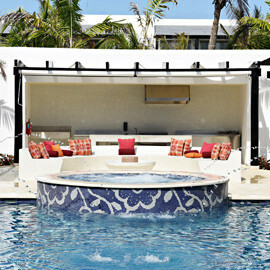 The casitas suites are grouped in two stories with an exclusive Casita only pool and an private swim up pool bar. 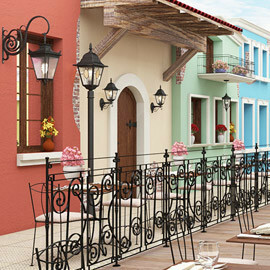 The individual Casita Suites are unique, standalone one room buildings. Included is a contemporary bathroom with double sinks and glass enclosed showers, our exclusive “Aguas del Amor” roofless outdoor shower and an indoor luxury Jacuzzi. 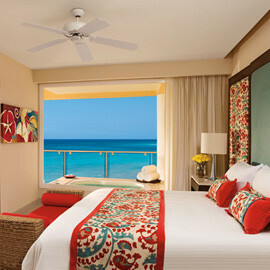 From your balcony enjoy breathtaking views of our white sand beaches and the largest artificial coral reef in the world. 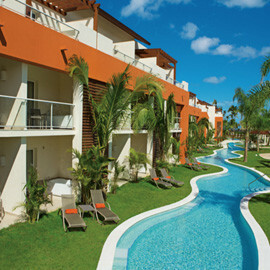 Dive into our lazy river directly in front of your private balcony. Enjoy all of the features of the Casita Suite on the ground level. Included is a contemporary bathroom with double sinks and glass enclosed showers, our exclusive “Aguas del Amor” roofless outdoor shower and an indoor luxury Jacuzzi. 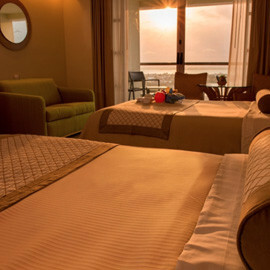 Relax on your private balcony with breathtaking views of our white sand beaches and the largest artificial coral reef in the world. 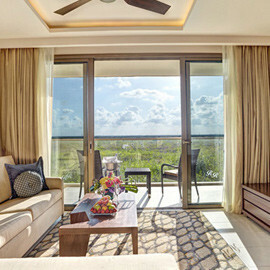 These luxury Casita Suites enjoy ultimate privacy, views of our white sand beaches and the largest artificial coral reef in the world, Located on the second level with your own private infinity pool. Included is a contemporary bathroom with double sinks, our exclusive “Aguas del Amor” roofless outdoor shower and glass enclosed showers and an indoor luxury Jacuzzi. 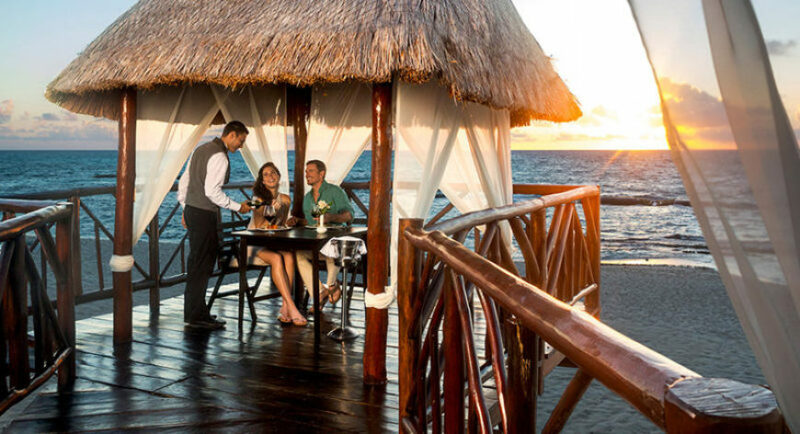 Enjoy our Gourmet Inclusive. Dive into our lazy river directly in front of your Jacuzzi suite’s patio Enjoy an individual Casita Suite on the ground level. Included is a contemporary bathroom with double sinks and glass enclosed showers, our exclusive “Aguas del Amor” roofless outdoor shower and an indoor luxury Jacuzzi. Relax on your private balcony with breathtaking views of our white sand beaches and the largest artificial coral reef in the world. 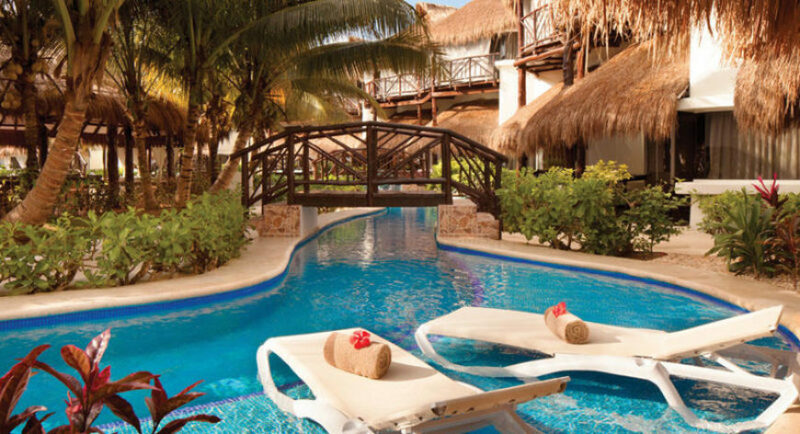 Dive directly into our lazy river that connects to your exclusive Casita only pool with a private swim up bar. 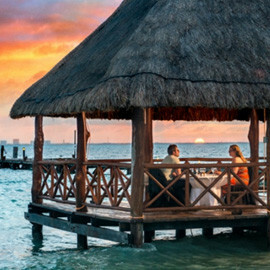 These luxury casita suites enjoy ultimate privacy, views of our white sand beaches and the largest artificial coral reef in the world, Included is a contemporary bathroom with double sinks and glass enclosed showers, our exclusive “Aguas del Amor” roofless outdoor shower and an indoor luxury Jacuzzi. Located on the ground Level with your own private plunge pool leading into our lazy river. These luxury Casita Suites enjoy ultimate privacy, views of our white sand beaches and the largest artificial coral reef in the world. 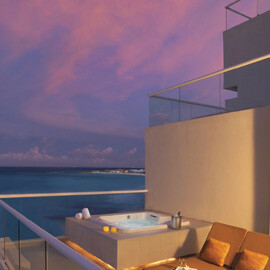 Located on the second level with your own private infinity pool. Included is a contemporary bathroom with double sinks and glass enclosed showers, our exclusive “Aguas del Amor” roofless outdoor shower and an indoor luxury Jacuzzi. Enjoy varying premium spirits, upgraded minibar. 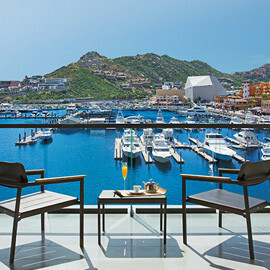 Included are premium welcome amenities and personalized Butler/concierge offering a wide array of services including personal dinner reservations, a selection of sports activities, a private shuttle within the resort and an individual butler phone. 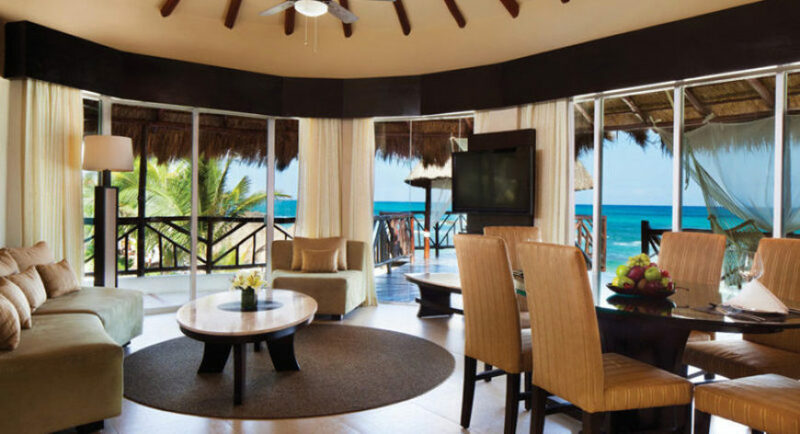 These luxury Casita Suites enjoy ultimate privacy, views of our white sand beaches and the largest artificial coral reef in the world. Located on the ground level with your own private swim up pool. Included is a contemporary bathroom with double sinks and glass enclosed showers, our exclusive “Aguas del Amor” roofless outdoor shower and an indoor luxury Jacuzzi. Enjoy varying premium spirits, upgraded minibar. Included are premium welcome amenities and personalized Butler/concierge offering a wide array of services including personal dinner reservations, a selection of sports activities, a private shuttle within the resort and an individual butler phone. 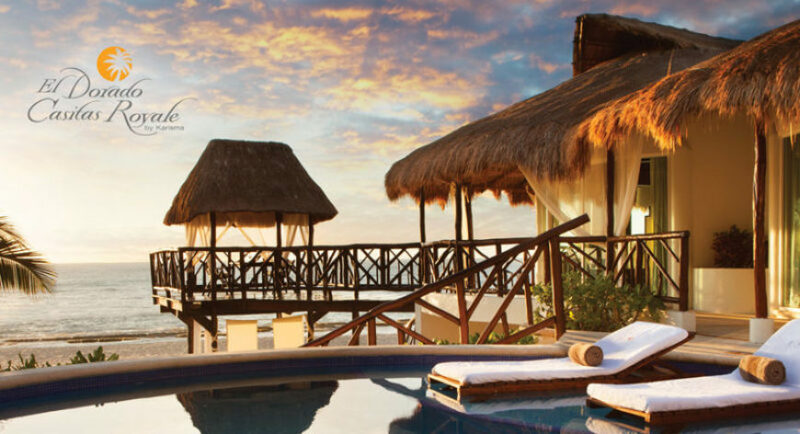 The Presidential Suite features all premium amenities and an oversized ocean front terrace with a private swimming pool, private beach Palapa, outdoor bed & hammock. 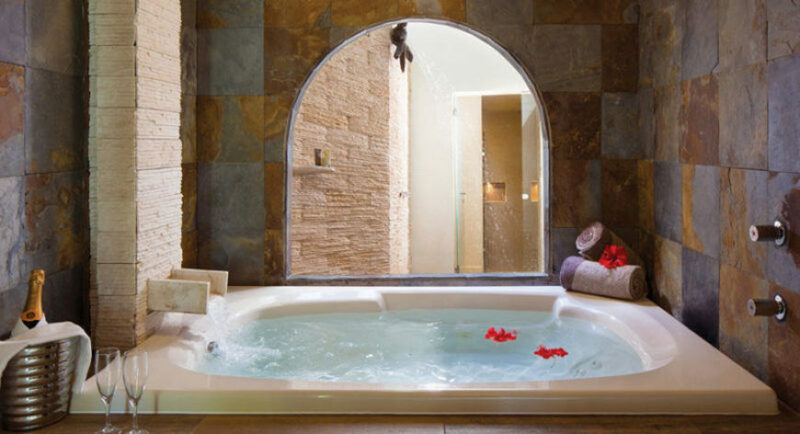 Included is a contemporary bathroom with double sinks and glass enclosed showers, our exclusive “Aguas del Amor” roofless outdoor shower and an indoor luxury Jacuzzi. Included is an adjoining living room with high tech features. Indulge yourself with our gourmet experience on your dining table. Enjoy a selection of premium liquors, Espresso machine with a coffee set and assorted tea selection, fully stocked in room premium minibar. Once during your stay, enjoy a presidential in suite dinner prepared by one of our notorious culinary chefs. 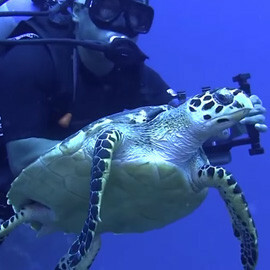 Additional amenities include personal snorkel equipment, all in one touch screen computer per suite, upgraded toiletries, and personalized Butler/concierge offering a wide array of services including personal dinner reservations, a selection of sports activities, a private shuttle within the resort and an individual butler phone. Come and enjoy one of the world’s most avant-garde concepts in culinary entertainment. Open kitchen with full cooking show of iron chef level. A one-of-a-kind Culinary Theater with gourmet acts hosted and performed by our Chef and Sommelier designed to satisfy both, your appetite and your curiosity. Our Creative Chef, will take you on a journey filled with exquisite aromas, colors, textures, contrasts and flavors, and the finest selection of ingredients from our greenhouse. Our Sommelier, guides you through the magic behind the subtle art of pairing to make this epicurean journey an absolutely memorable Gourmet Inclusive® Experience. Only one daily sitting starting with a welcome cocktail at 7:00pm, followed by the dinner & show at 7:30 pm. Reservations are required. Closed on Sundays. 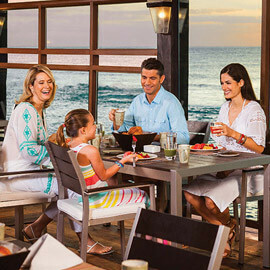 At Jojo’s the guest will be able to enjoy the fresh Seafood Gourmet dishes with a spectacular view of the Caribbean in a casual ambience from 11.00 am -6.00pm for lunch. Wood burning oven pizzas served to order, and a selection of Angus burgers, gourmet bites among other succulent Mexican “botana” preparations. All Restaurants operate on select schedules. A maximum of 6 people per table is allowed; for groups with more than 6 people, restrictions may apply. To enhance our unique dining experience, please comply with the following casual elegant dress code in all gourmet restaurants. Ladies: Capri pants, Dresses, Skirts, Long Pants, Shoes, Dress Sandals. 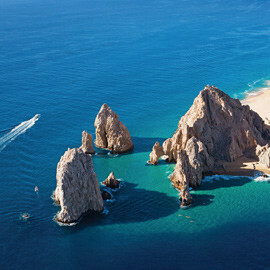 Gentlemen: Formal Bermuda shorts, Long Pants, Collared shirts, Casual shoes or dress sandals. Enjoy from our variety of Bellini’s in a contemporary lounge ambiance.